Working with interior designers from across the globe since 1999, we have developed a turnkey system designed around your specific warehousing and installation needs. As the mover of choice in Aspen and Vail, we are entrusted to handle the finest items money can buy in homes and resorts on a daily basis. Relators and property managers confidently refer Olde Towne Moving knowing their clients and designers will receive excellent service. We offer Dedicated White-Glove packing and moving services to and from anywhere in the United States. With this door-to-door service, your client’s goods will not be commingled with other goods. Many of our clients require anonymity and discretion. Our system and protocols are designed to protect your identity. It’s not unusual for our staff and crews to sign non-disclosure documents prior to working on a project. Our proprietary inventory tracking system was designed and created after extensive feedback from designers like you. 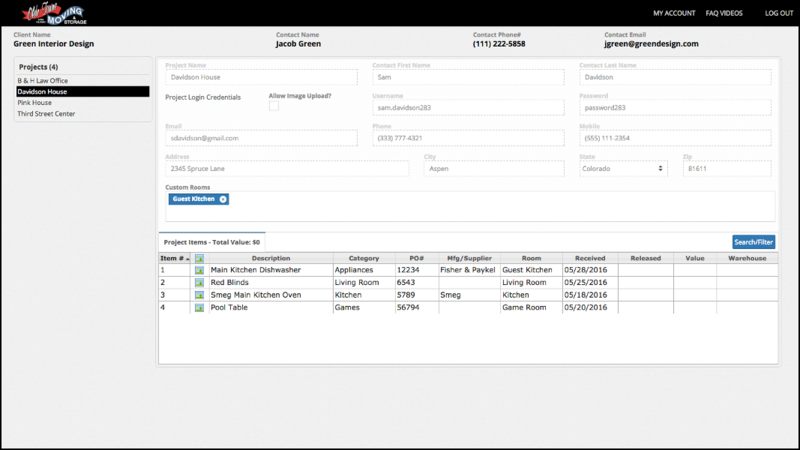 With our web-based software you will be able to track your items, view freight bills & packing slips, filter & search for your items & easily print item spreadsheets, and much more! We listened to our designers and know you will enjoy using our software from your computer or tablet. Our designer-inspired tracking system provides 24/7 access to your client’s inventory through your individual password-protected online portal. We truly believe our proprietary system is like no other you may have used. Easily view and edit each item in your client's project. Search and filter your items quickly and precisely. 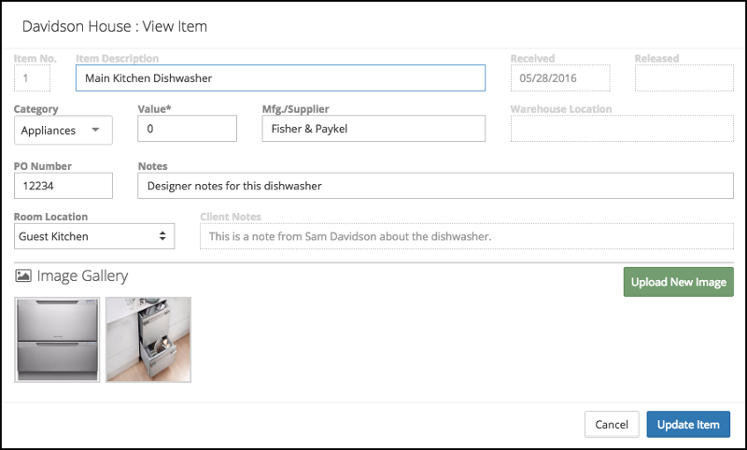 Save your items to a spreadsheet or print them out in a readable and friendly format. © Olde Towne Moving & Storage 2016.